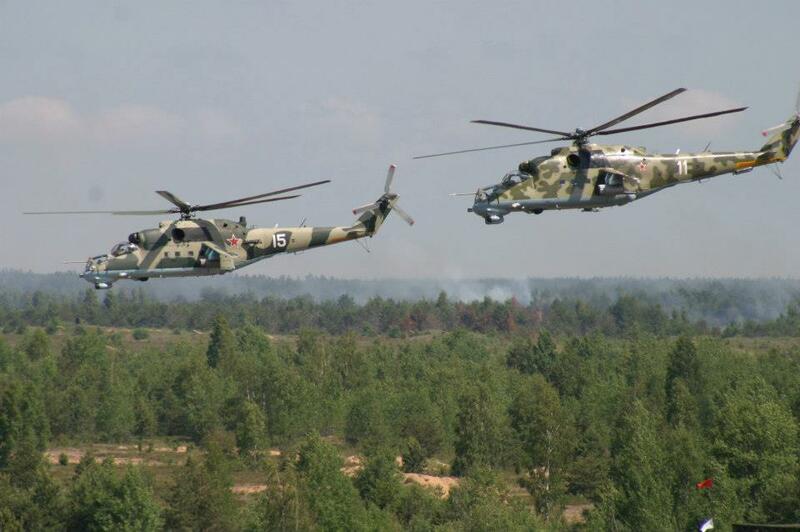 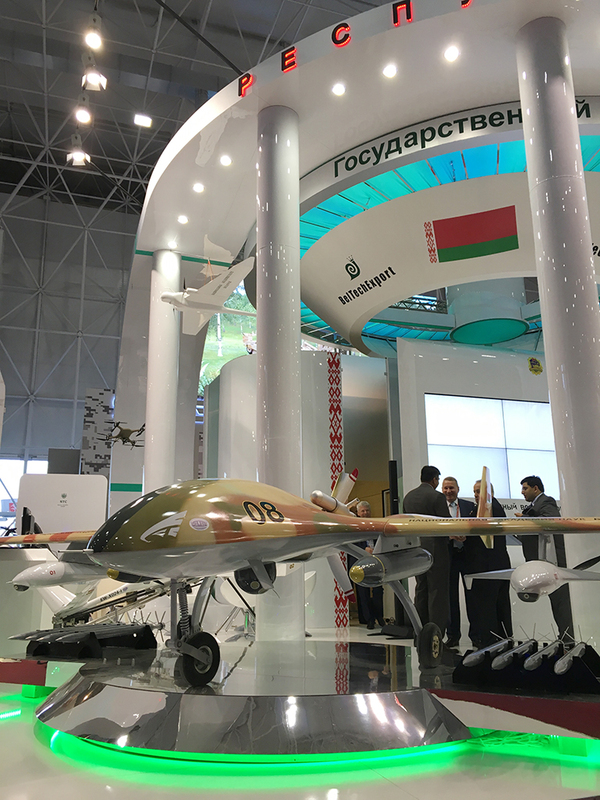 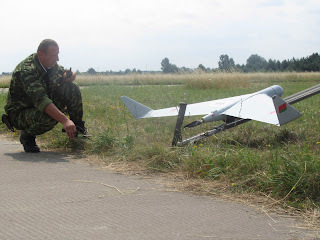 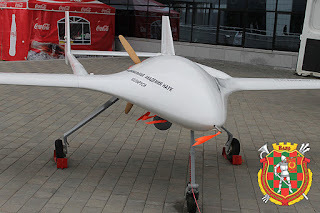 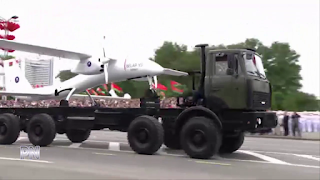 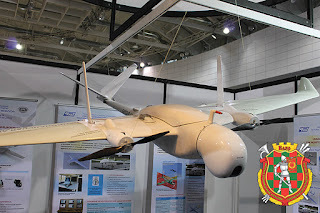 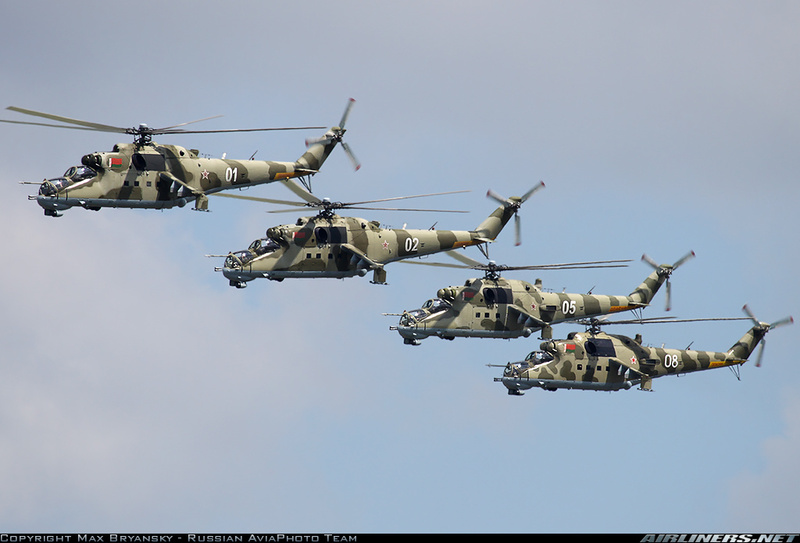 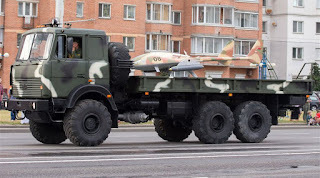 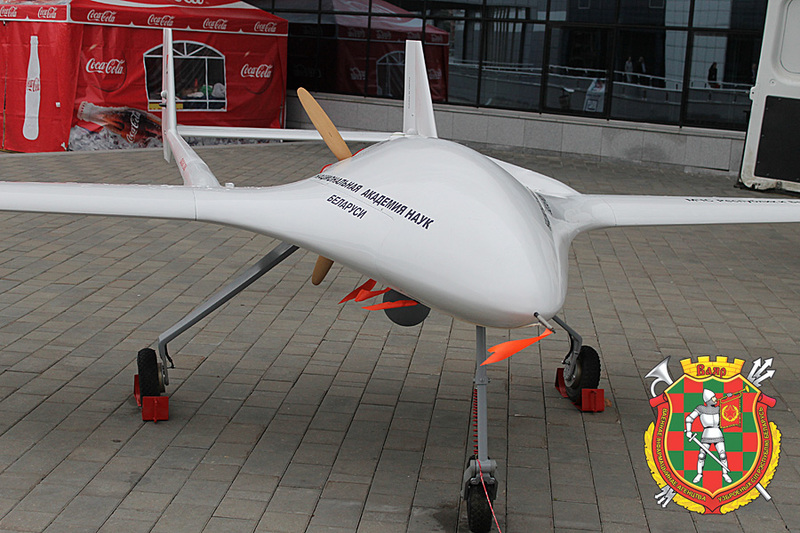 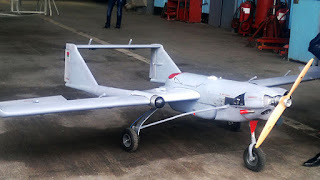 Sterkh-BM unmanned aerial vehicles. 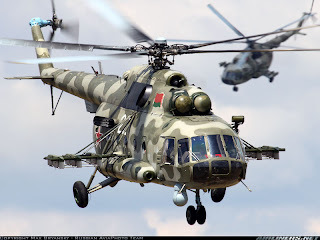 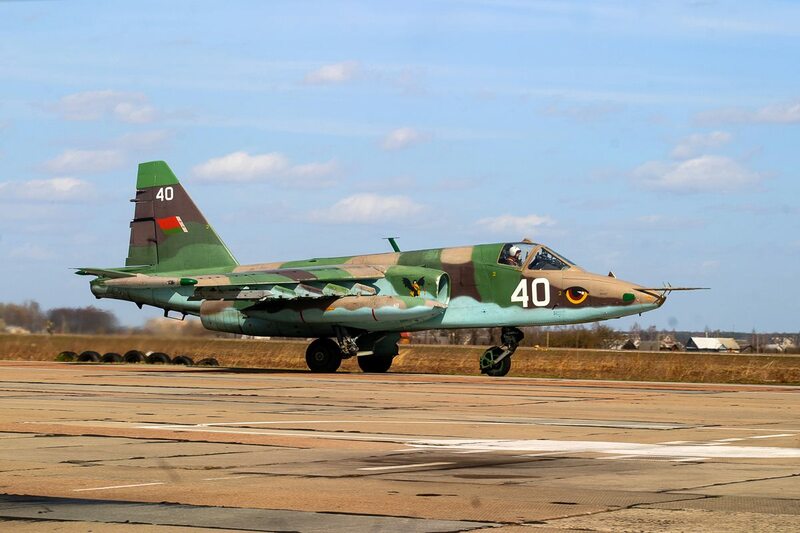 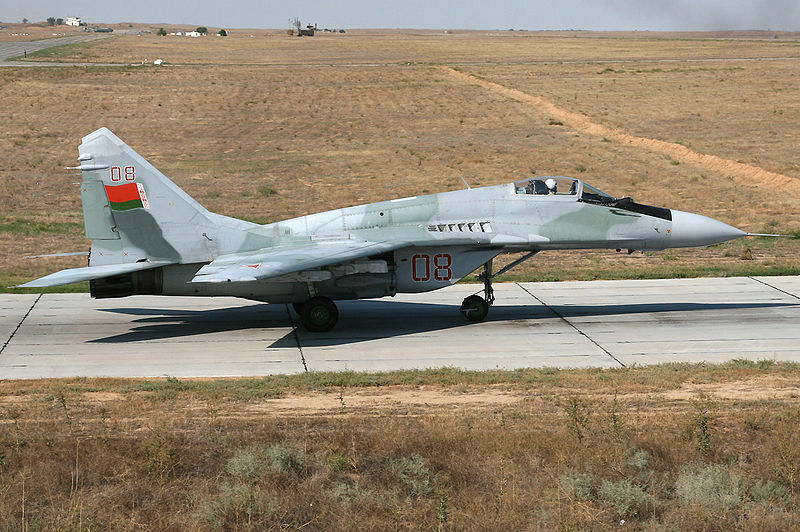 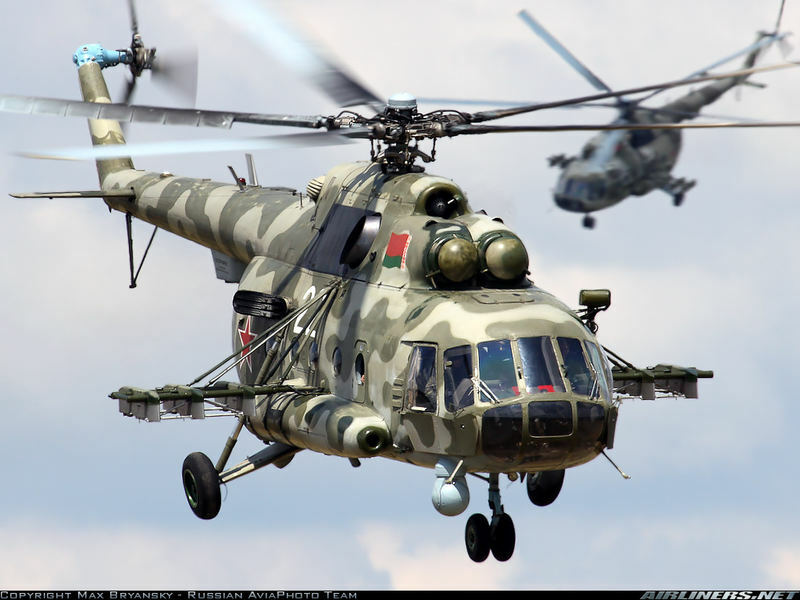 Made by the Minsk Aircraft Repair Plant. 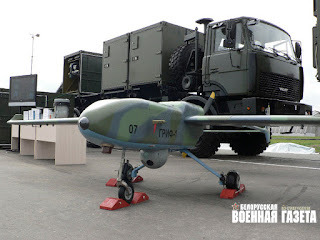 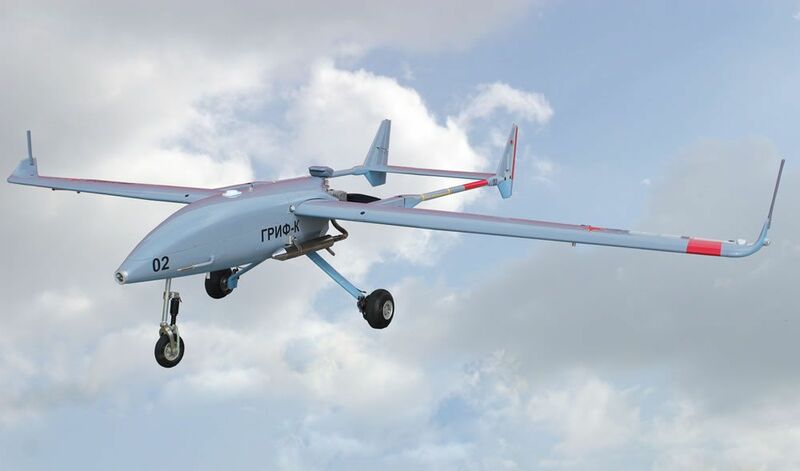 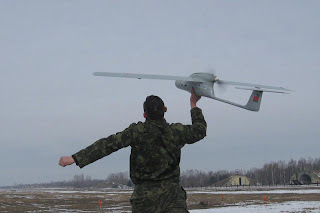 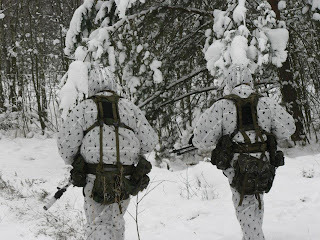 Filin or Philin (Eagle Owl) unmanned aerial vehicles. 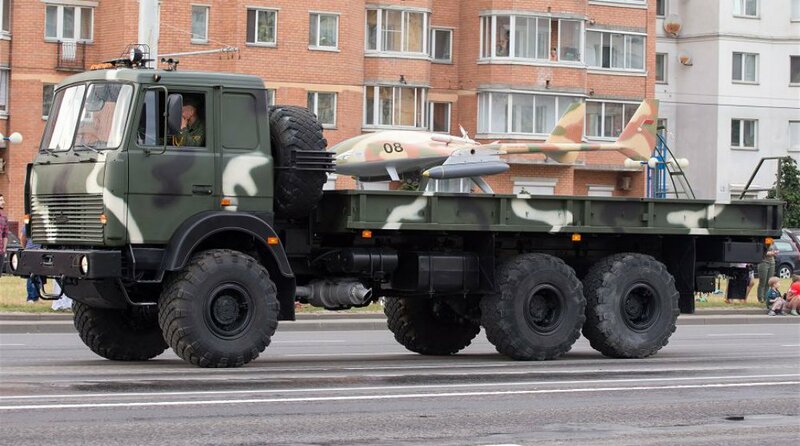 Made by the Minsk Aircraft Repair Plant. 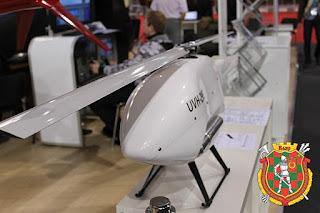 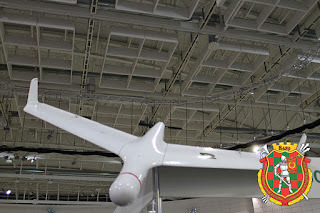 Grif-K unmanned aerial vehicles. 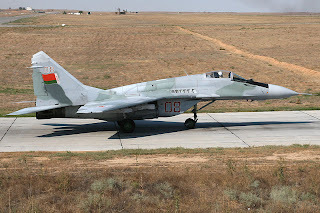 Made by Aircraft Repair Plant 558. 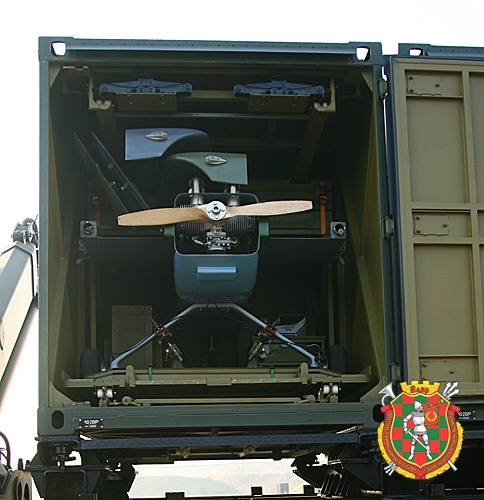 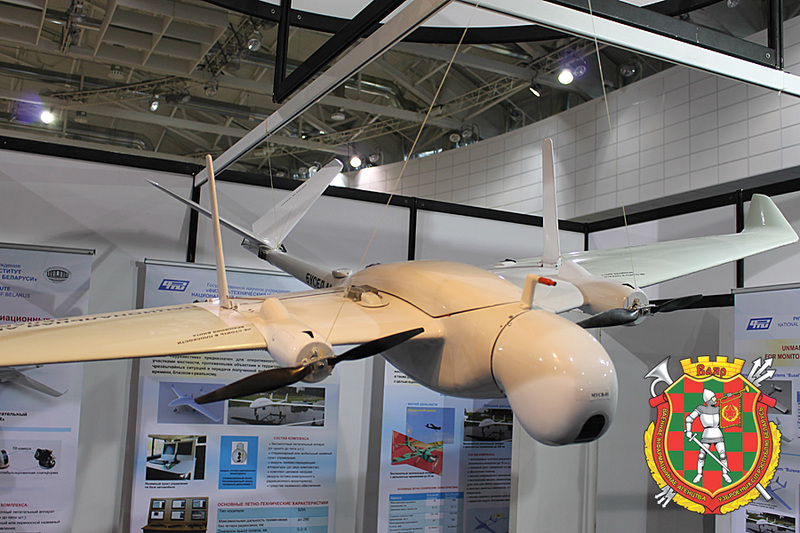 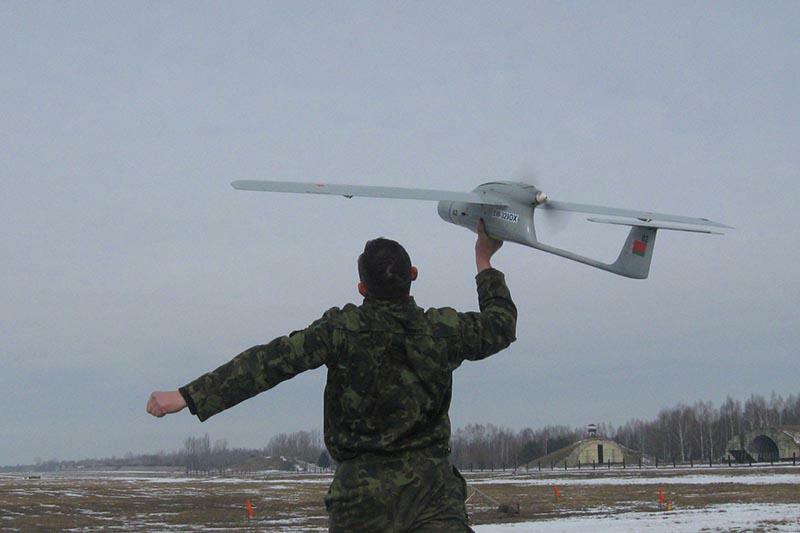 The Grif-100E is the designation of the system which includes the Grif-1E unmanned aerial vehicle, container and launcher. 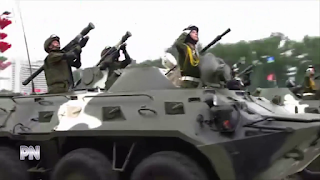 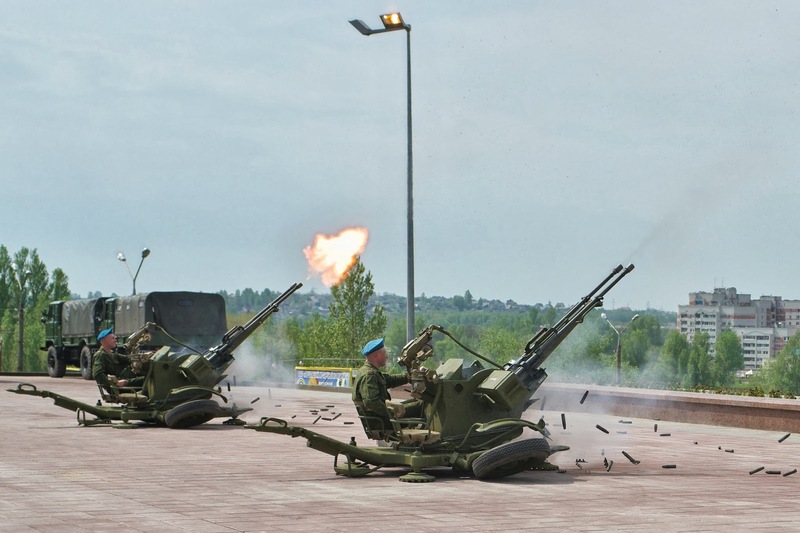 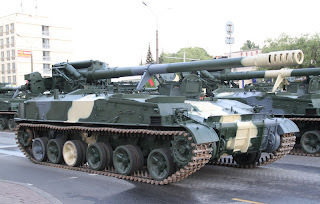 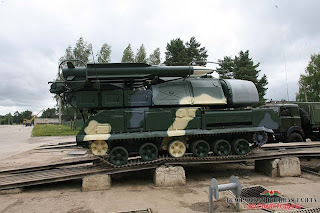 ZU-23 towed 23mm anti-aircraft guns. 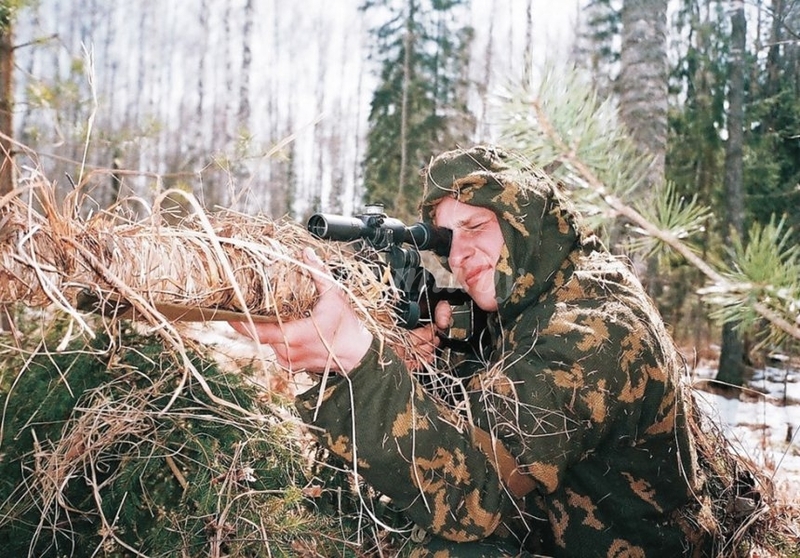 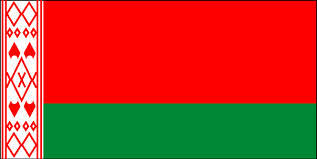 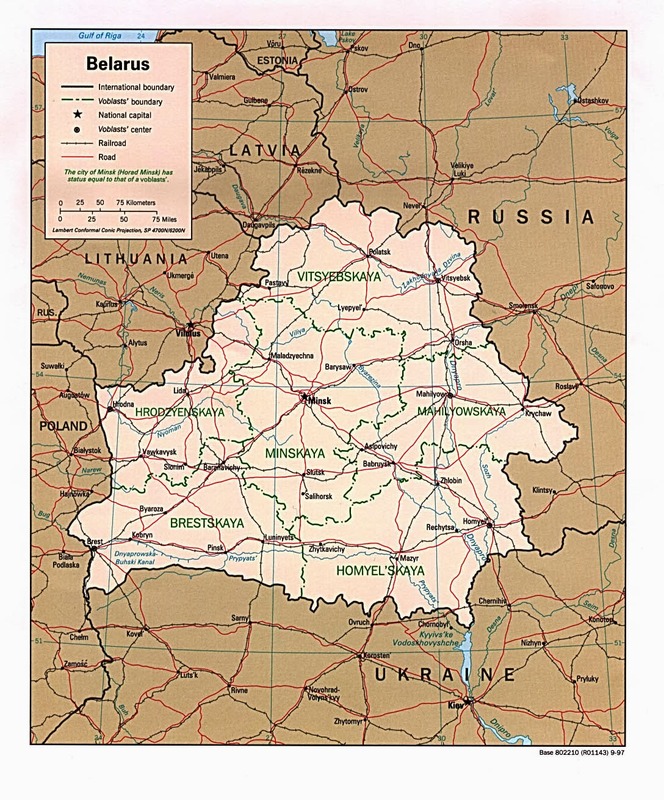 Belarus is landlocked and has no naval forces. Caiman 4x4 armored vehicle. Based on the BRDM-2. 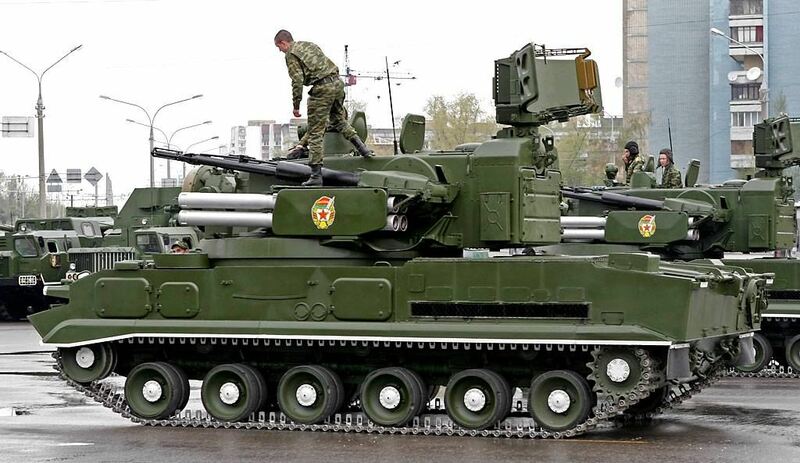 Made in Belarus. 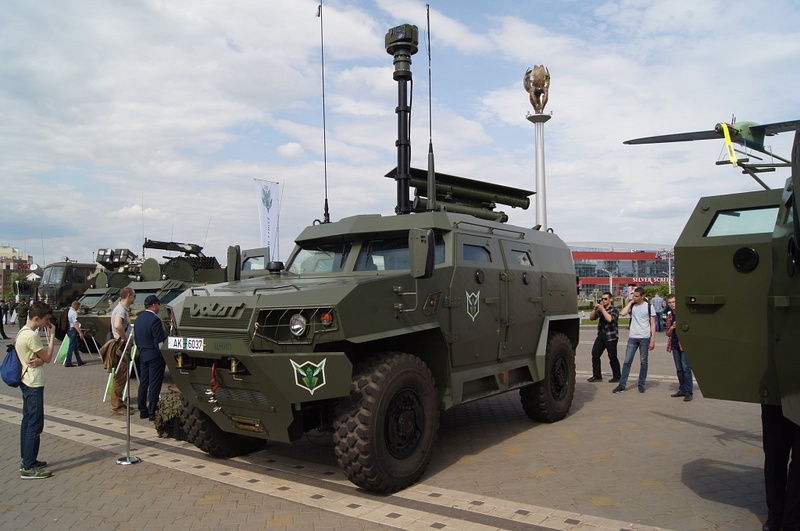 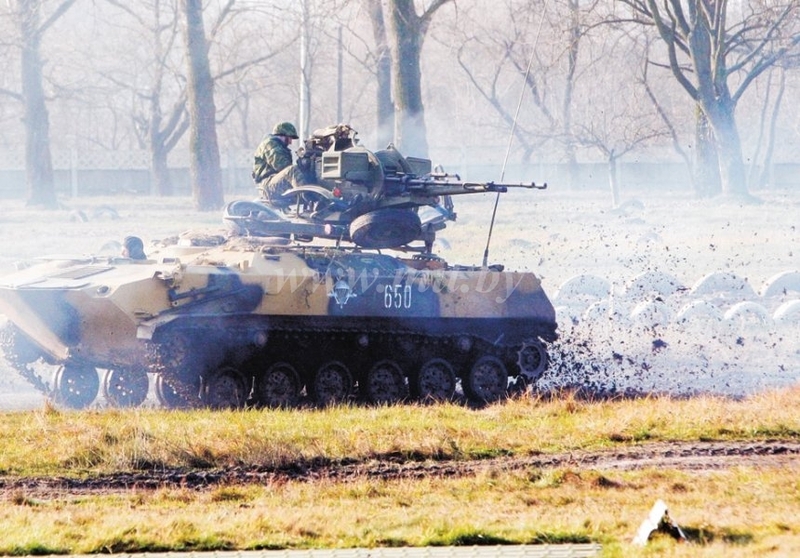 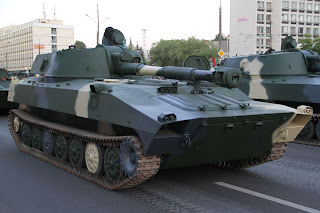 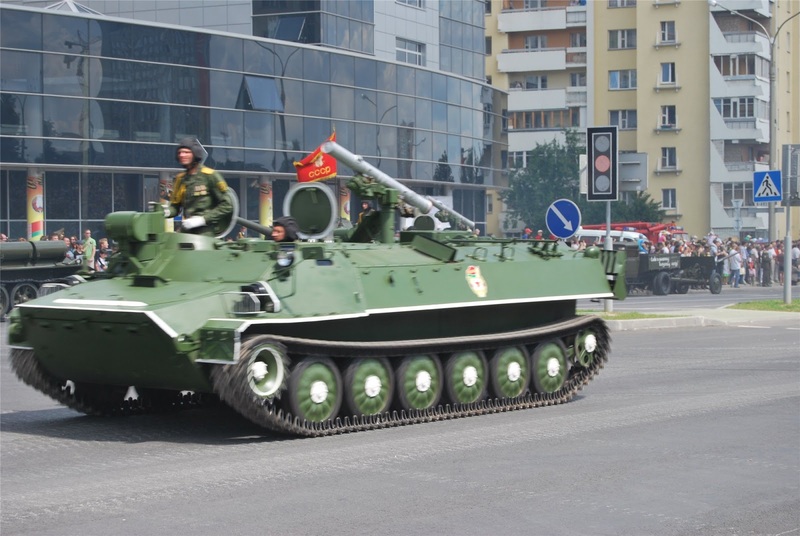 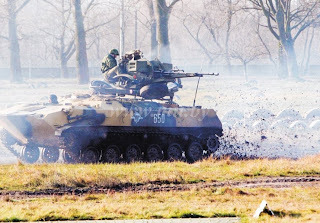 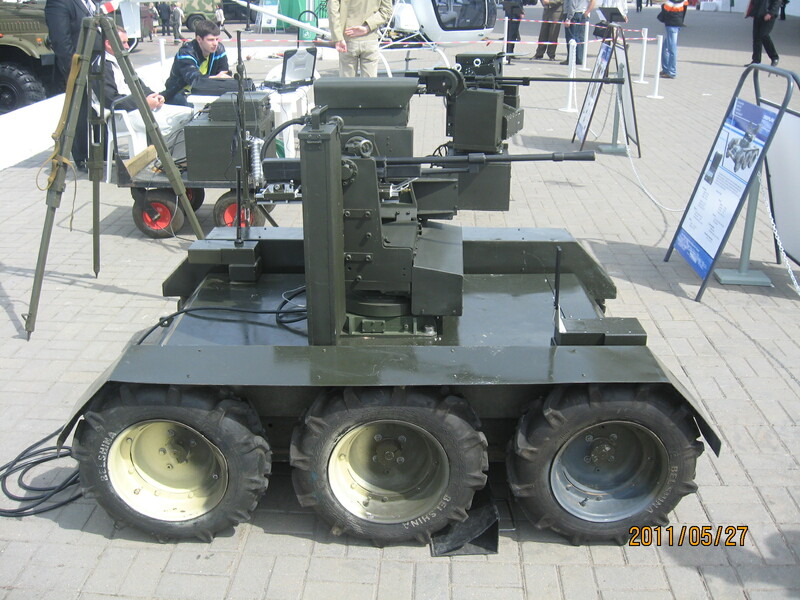 Volat MZKT-490100 4x4 wheeled armored vehicle. 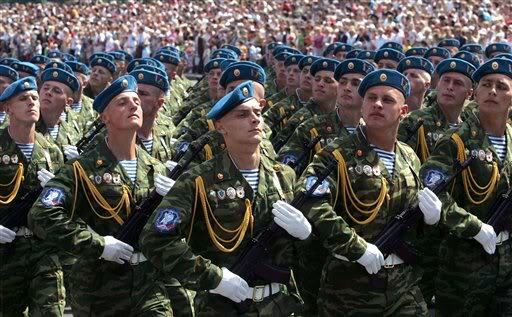 Made in Belarus. 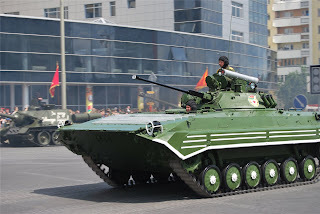 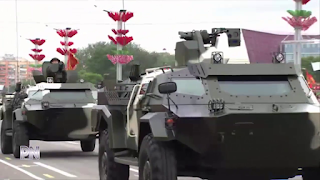 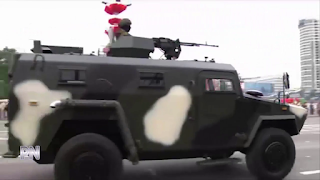 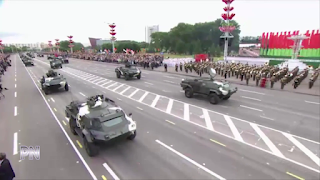 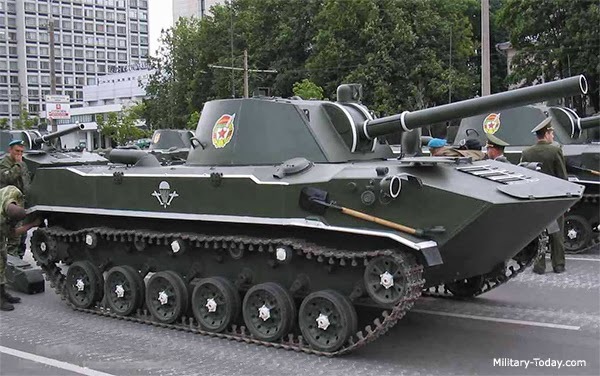 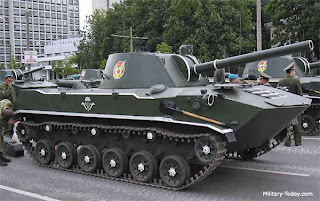 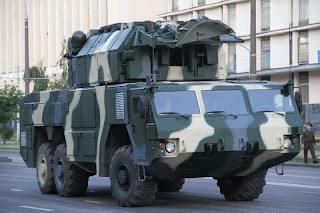 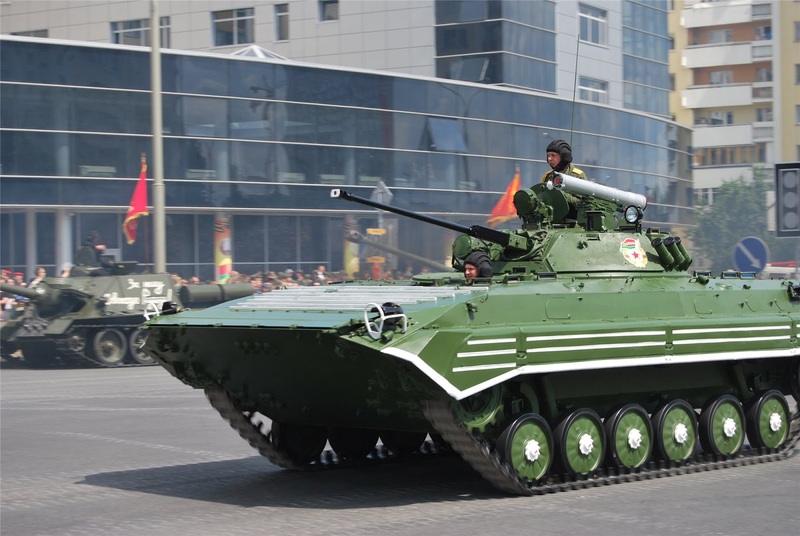 VN3 4x4 armored vehicle. 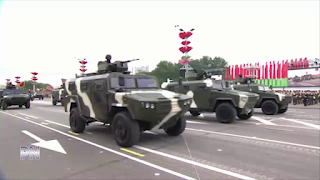 Chinese made. EQ2058 Mengshi utility vehicles. The EQ2058 is a variant of the EQ2050 which itself is a Chinese made HMMWV copy. 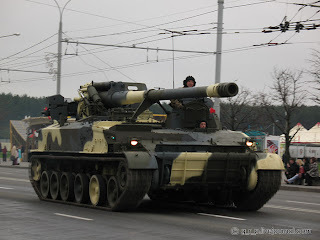 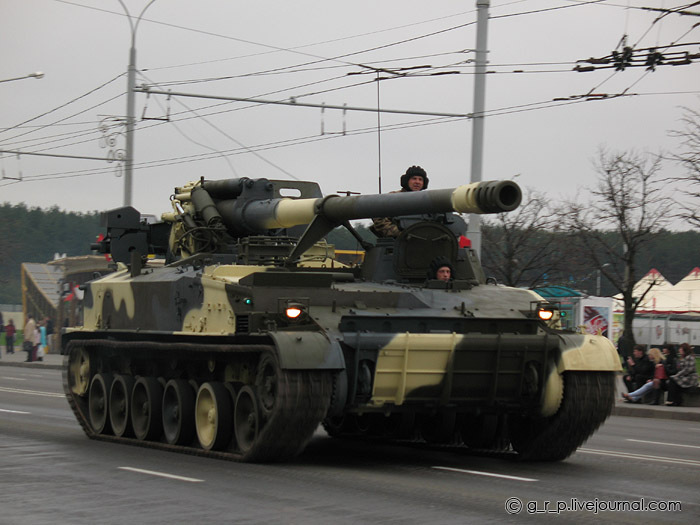 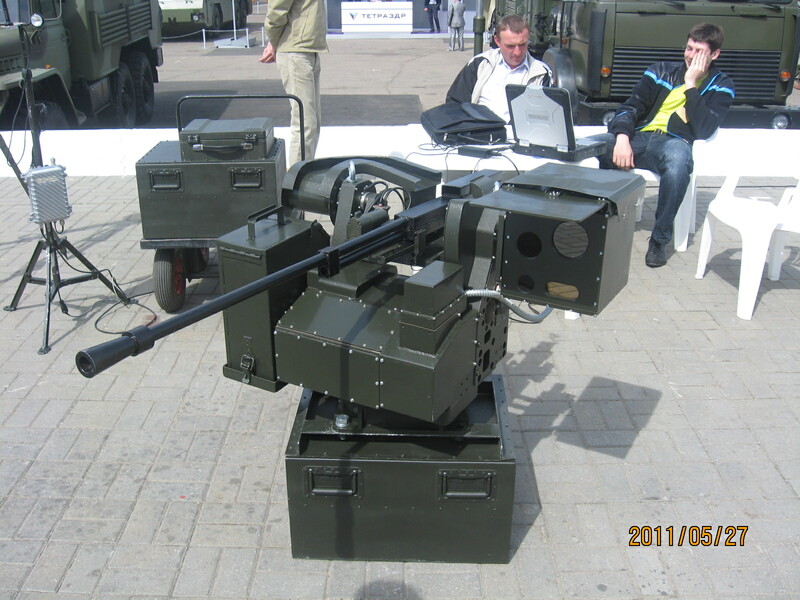 EQ2058 with AT-5 Spandrel (9M113 Konkurs) anti-tank missile. 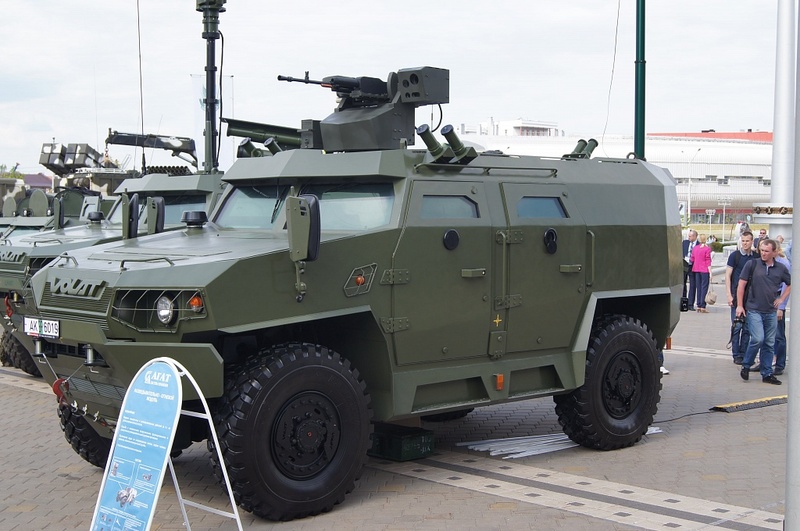 EQ2058 with AGS-17 automatic grenade launcher. EQ2058 with Remote Weapons Station. 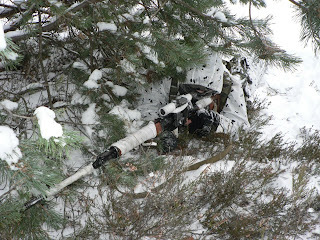 Same system used on the Adunok Unmanned Ground Vehicle? 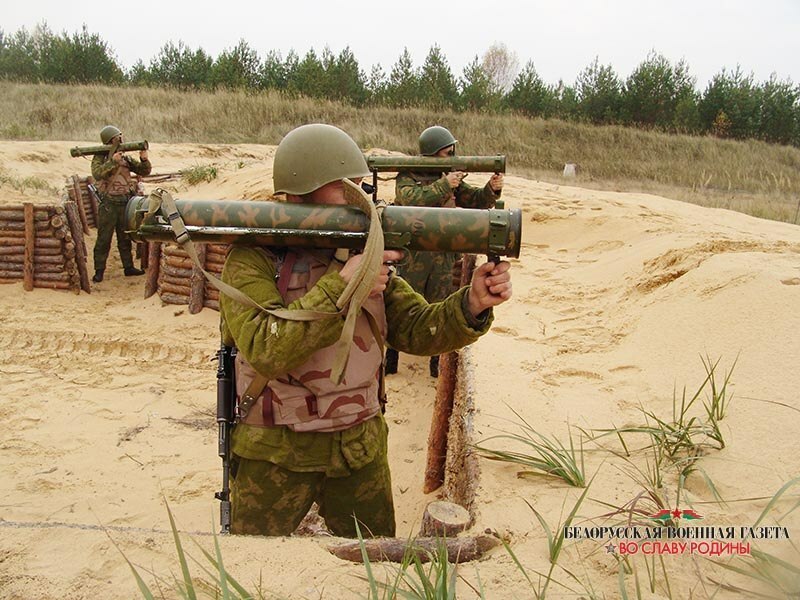 9P149 Shturm-S- MT-LB with AT-6 (9K114 Shturm) anti-tank missile. 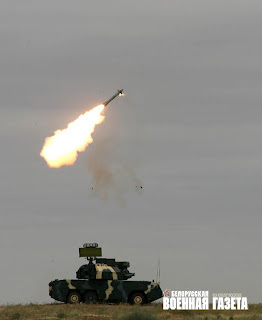 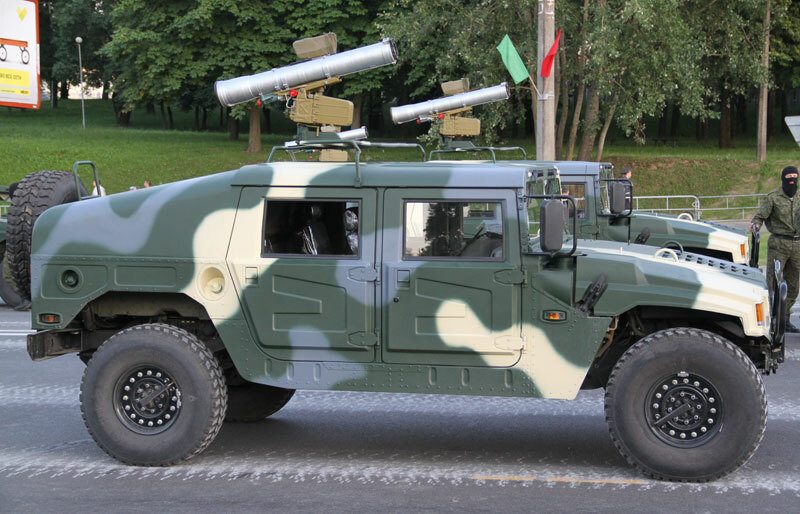 Karakal (Caracal) anti-tank missile carrier. 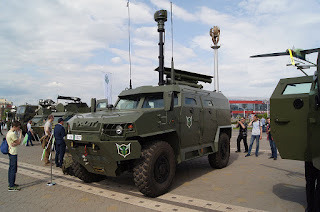 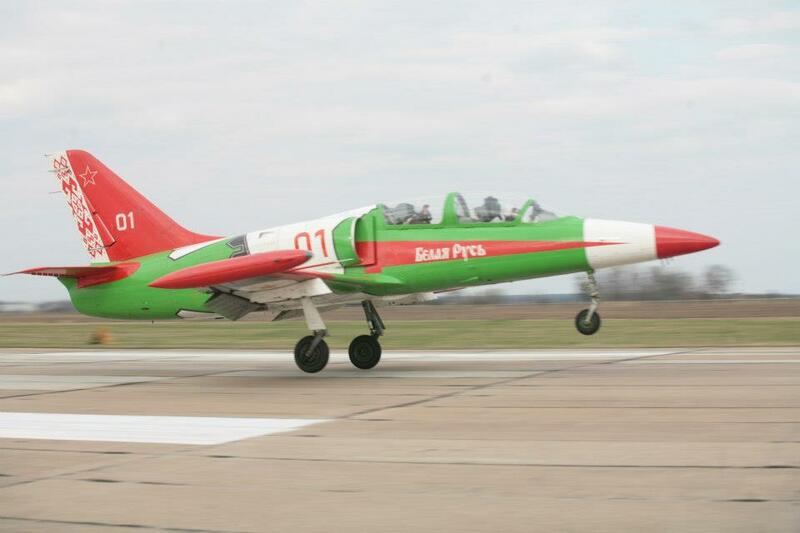 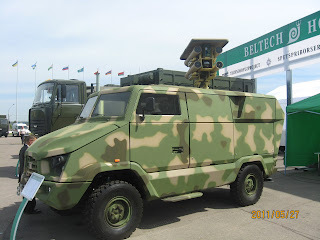 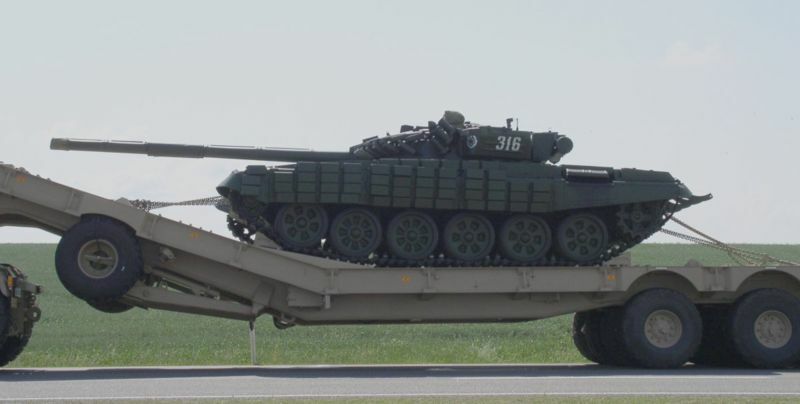 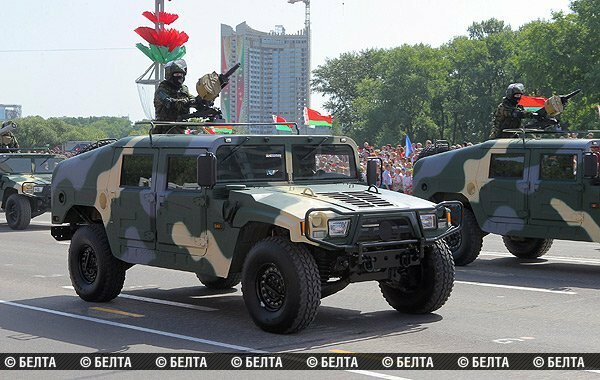 Made by Beltech Holding of Belarus. 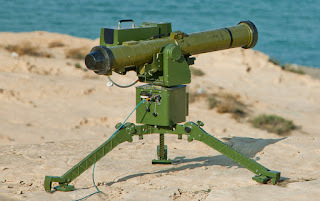 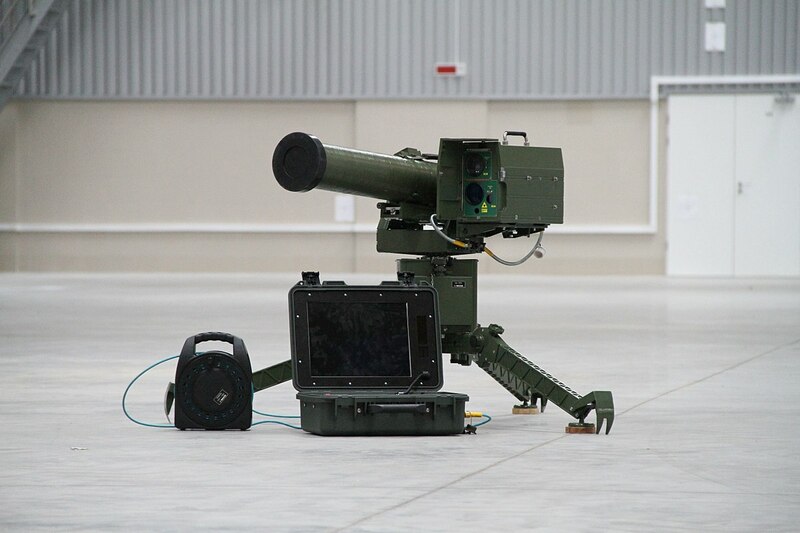 Shershen (Hornet) anti-tank guided missile launcher. 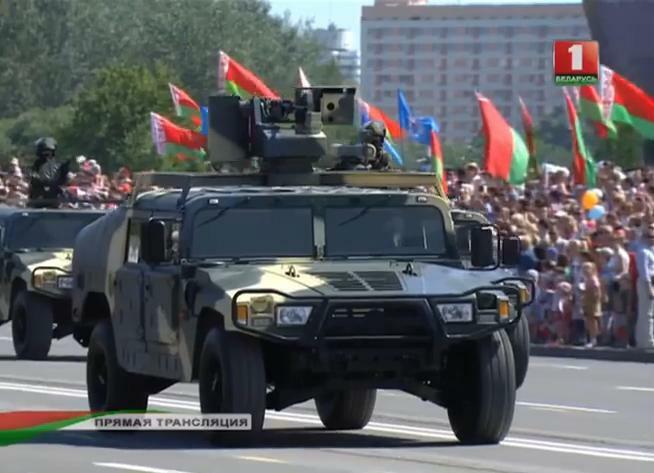 Made in Belarus. 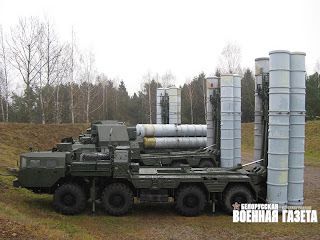 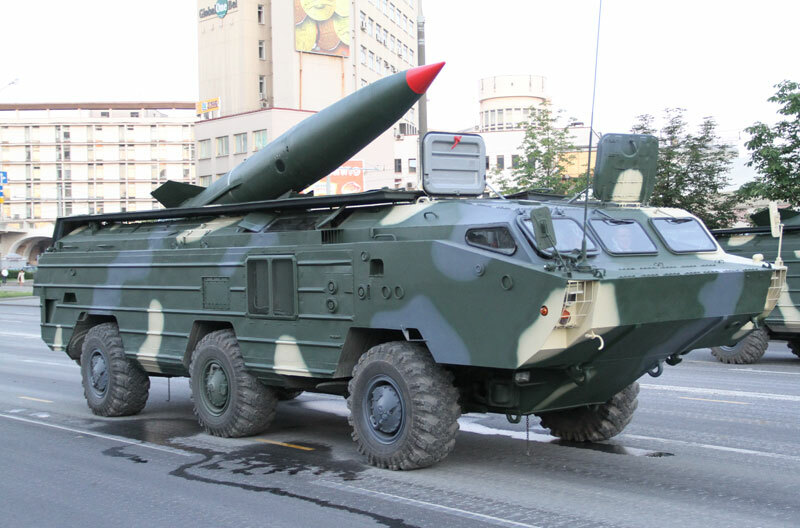 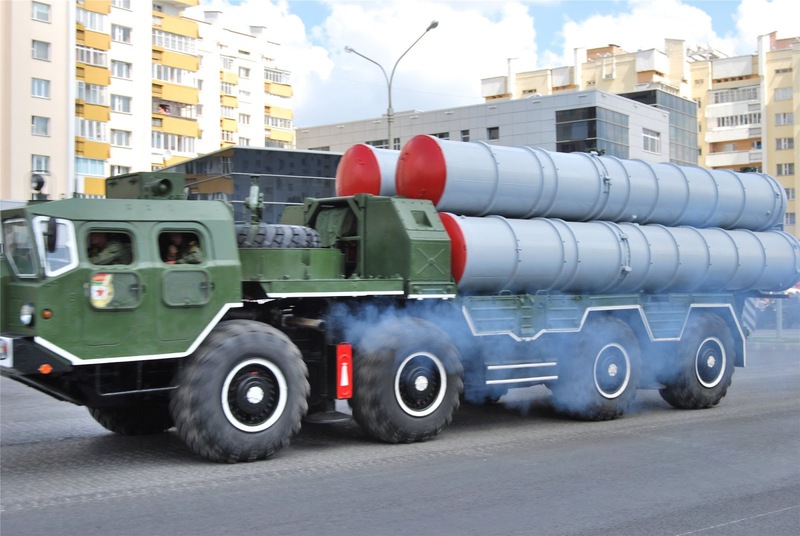 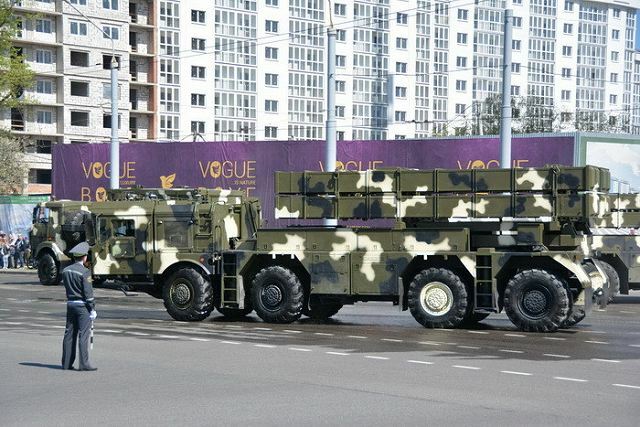 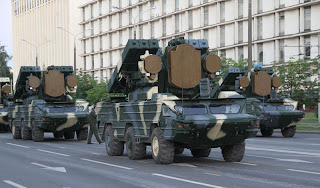 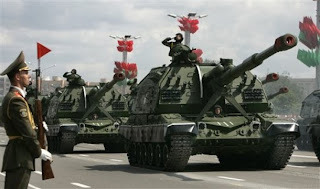 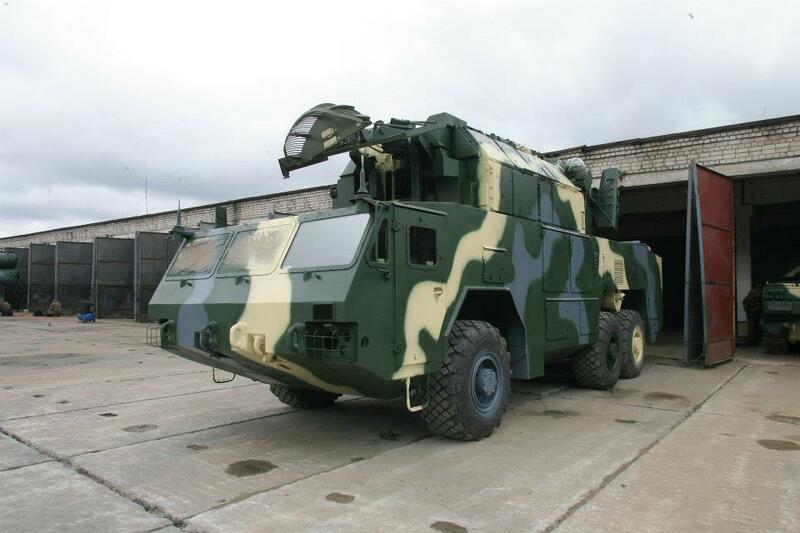 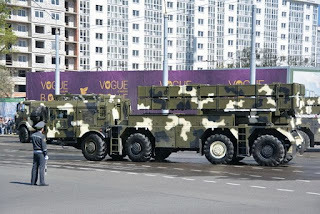 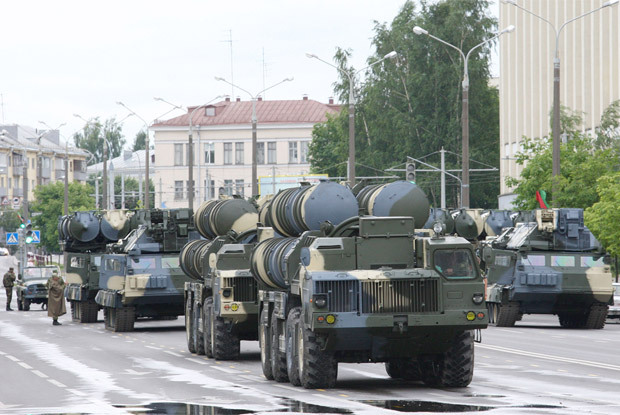 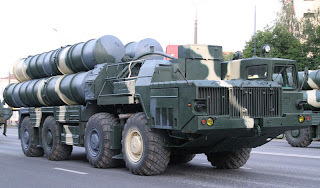 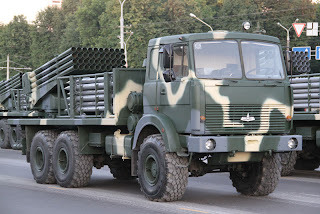 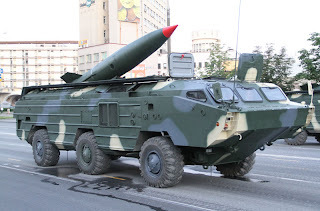 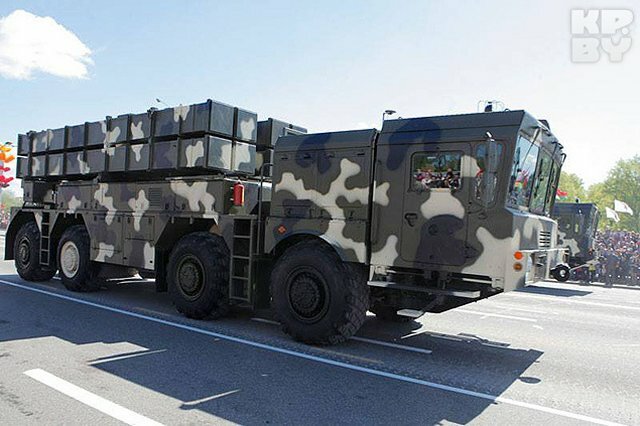 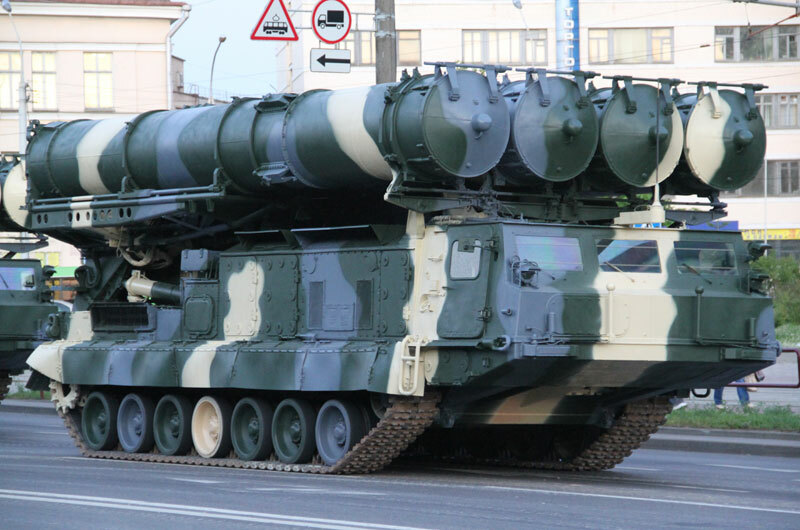 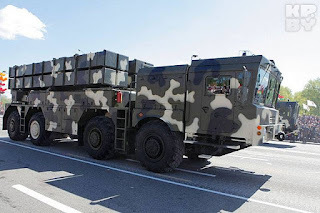 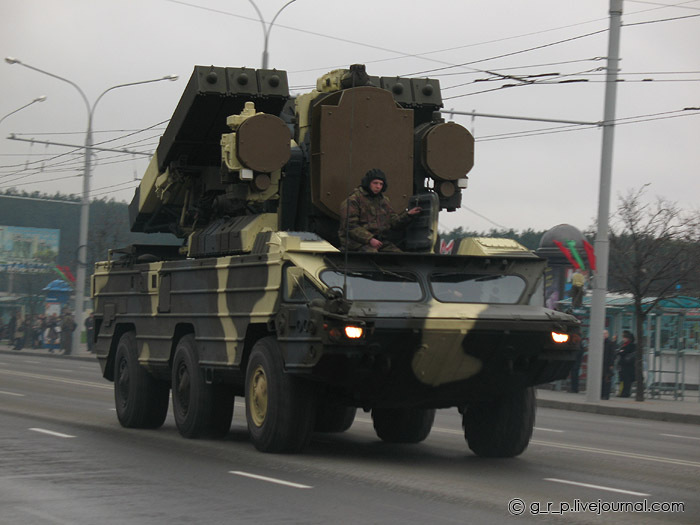 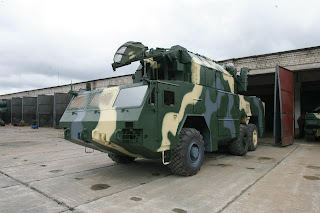 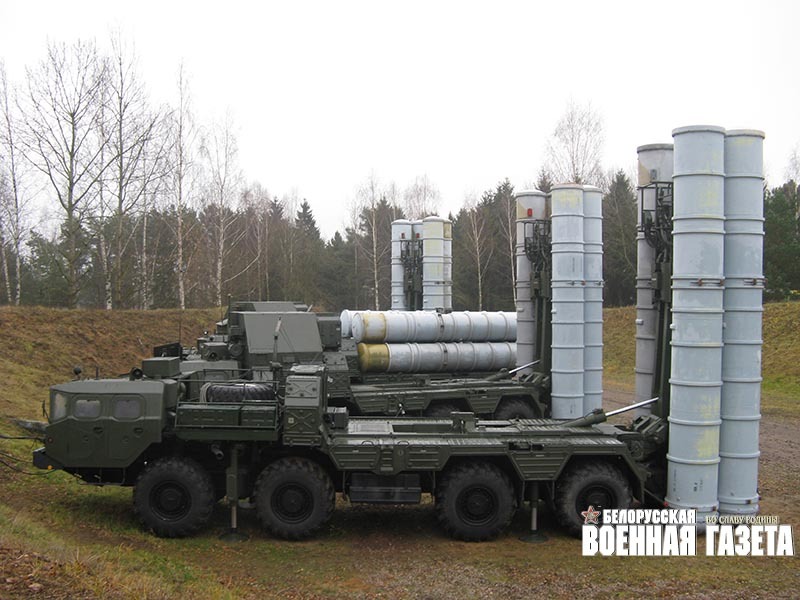 Shershen-Q missile launcher with four missiles. 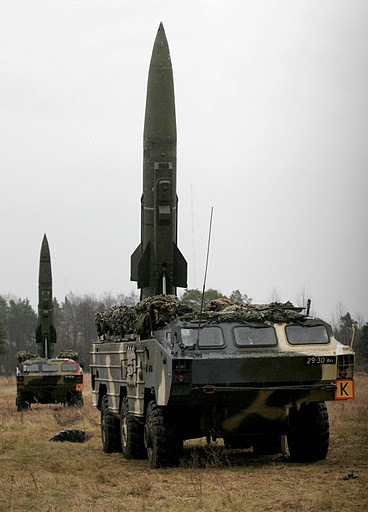 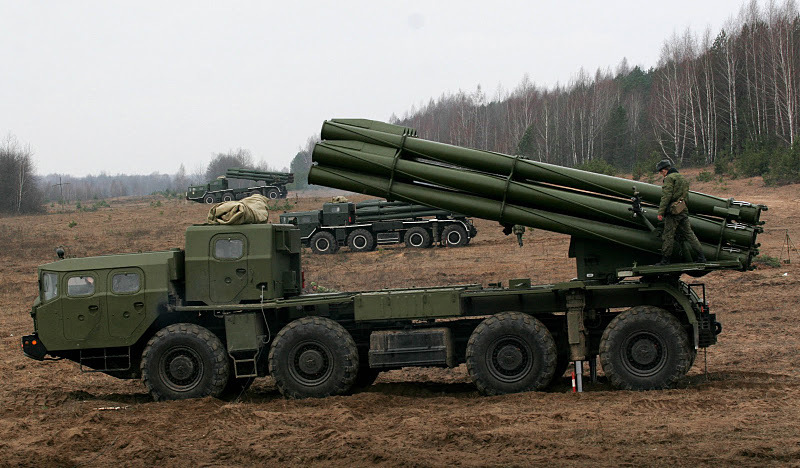 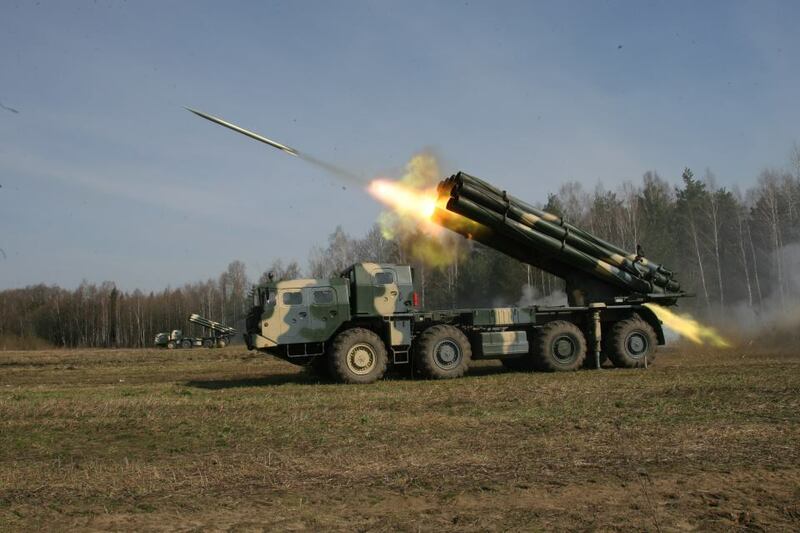 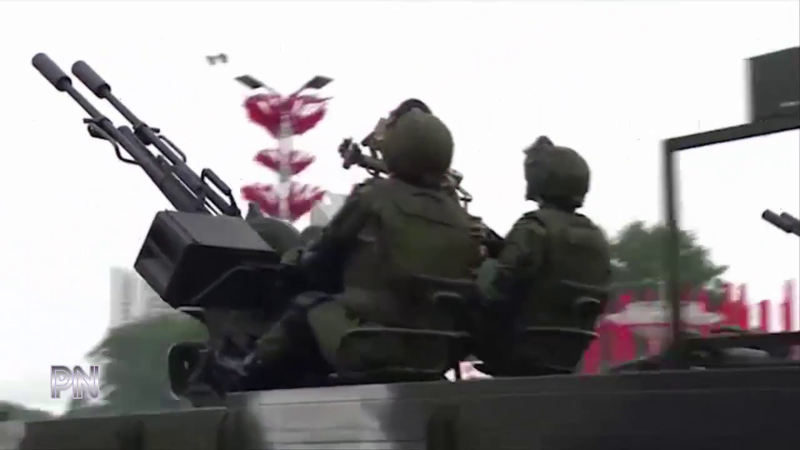 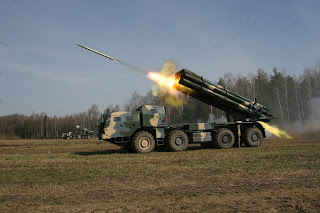 Polonez (Polonaise) multiple rocket launcher. 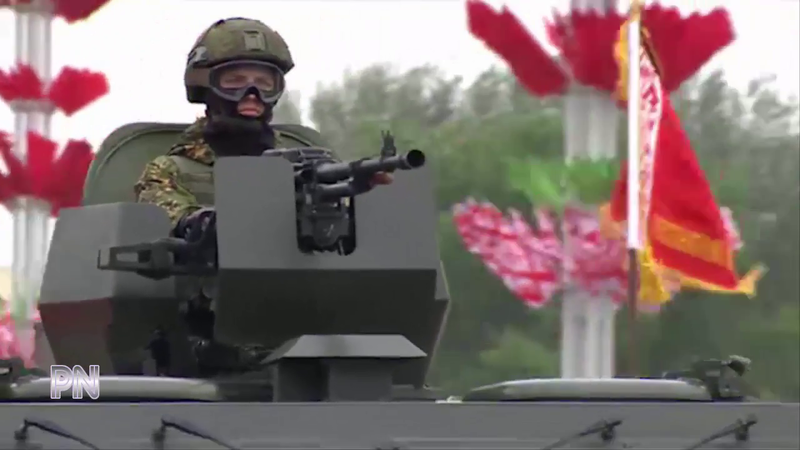 Joint development between Belarus and China. 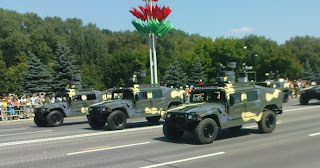 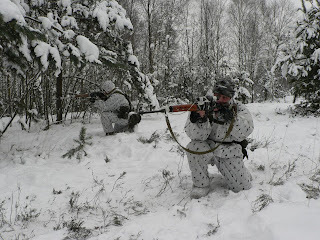 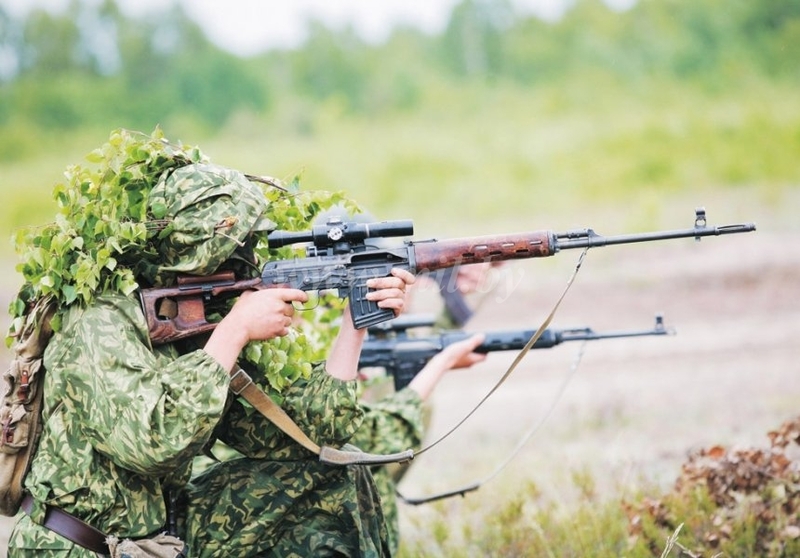 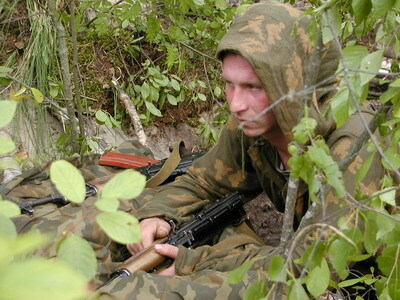 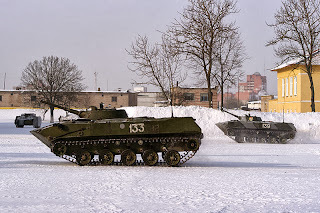 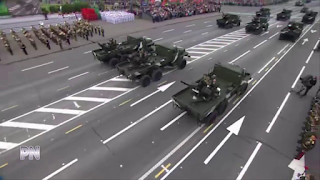 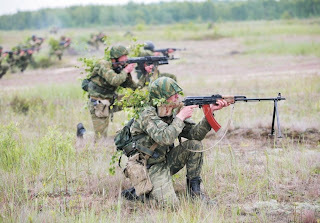 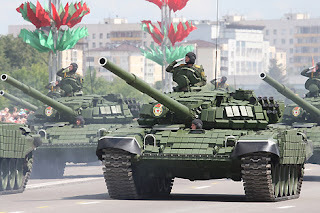 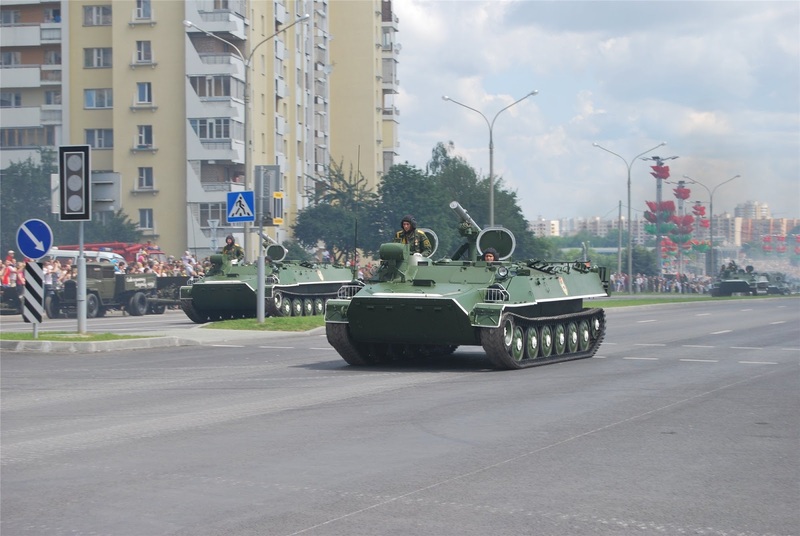 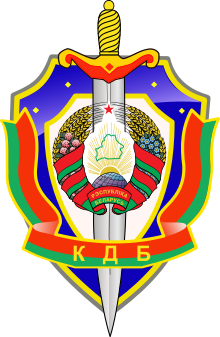 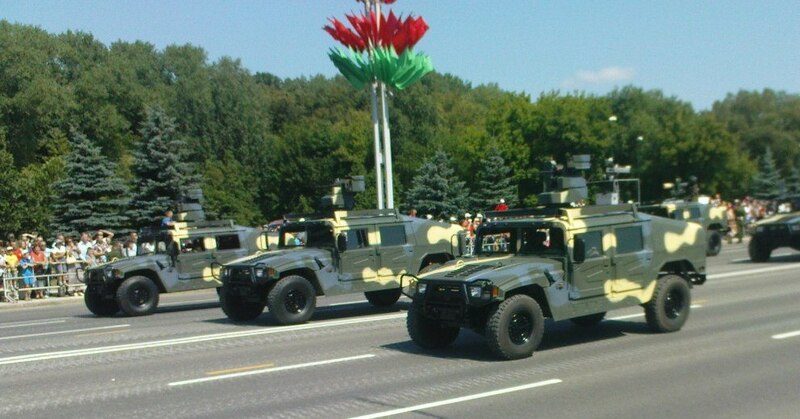 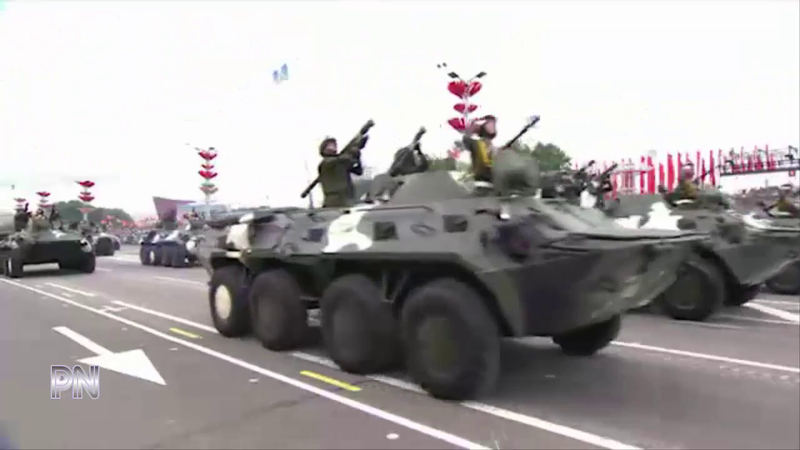 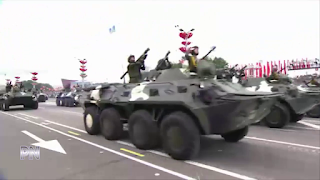 Elite 3rd Red Banner Brigade located in Minsk. 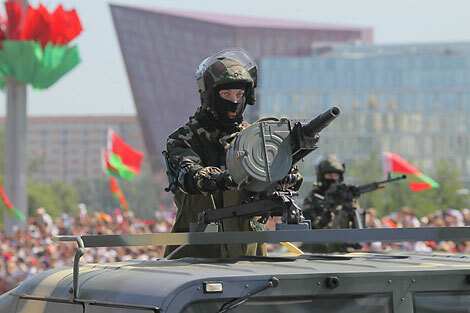 Crowd control, anti-terrorism, assist Border Guards.